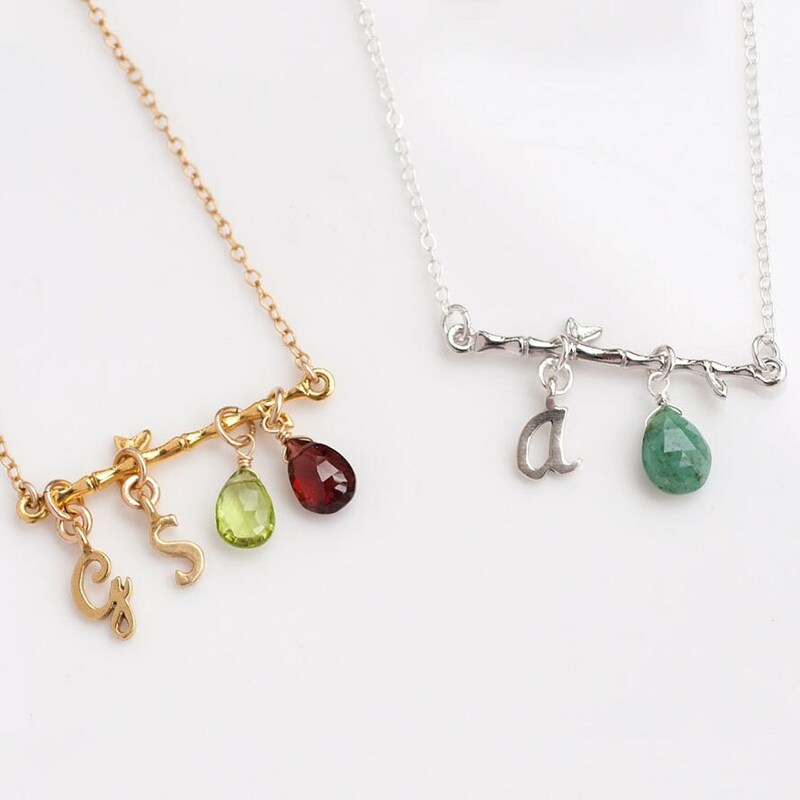 Customized Initial ans Birthstone Necklace. 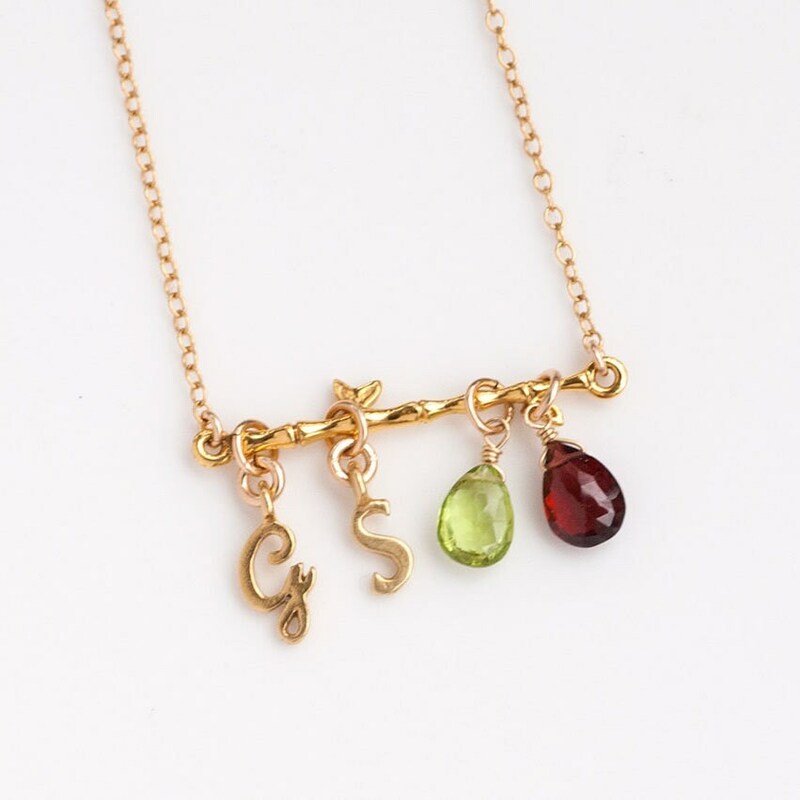 This is an amazing one of a kind customizable Birthstone Bamboo Branch necklace. Everything is customizable. 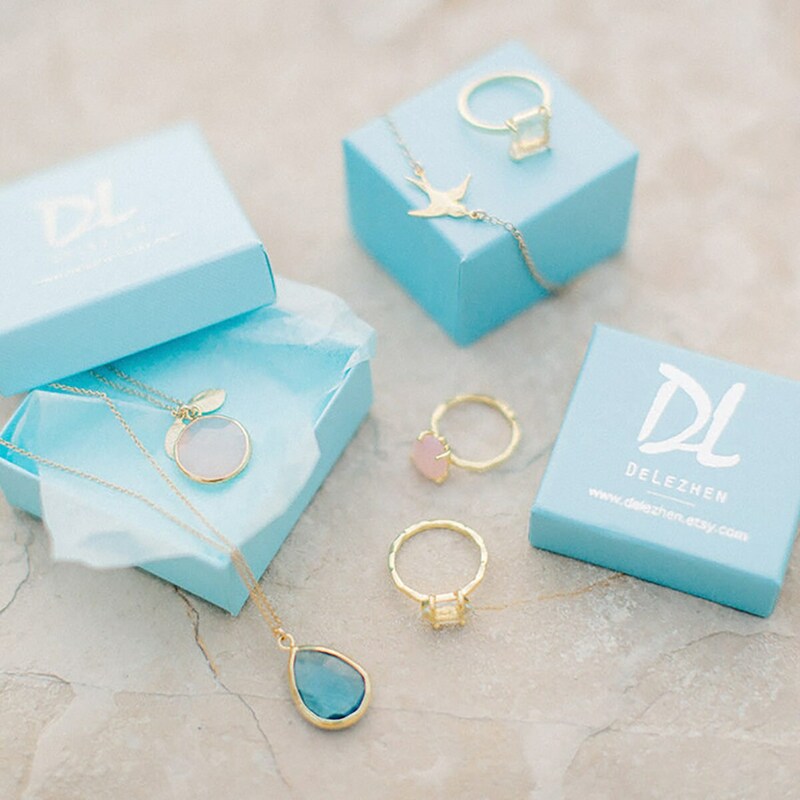 Available in both sterling silver or gold vermeil. Chain is 14k gold filled or sterling silver. 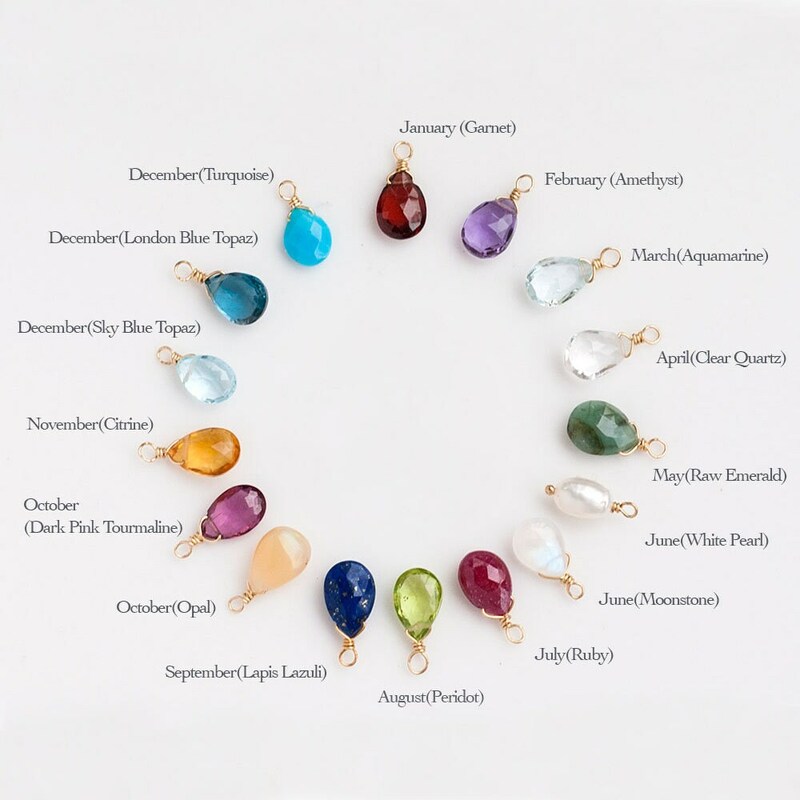 Choose the number of LETTERS and BIRTHSTONES you would like from the 1st drop down menu. 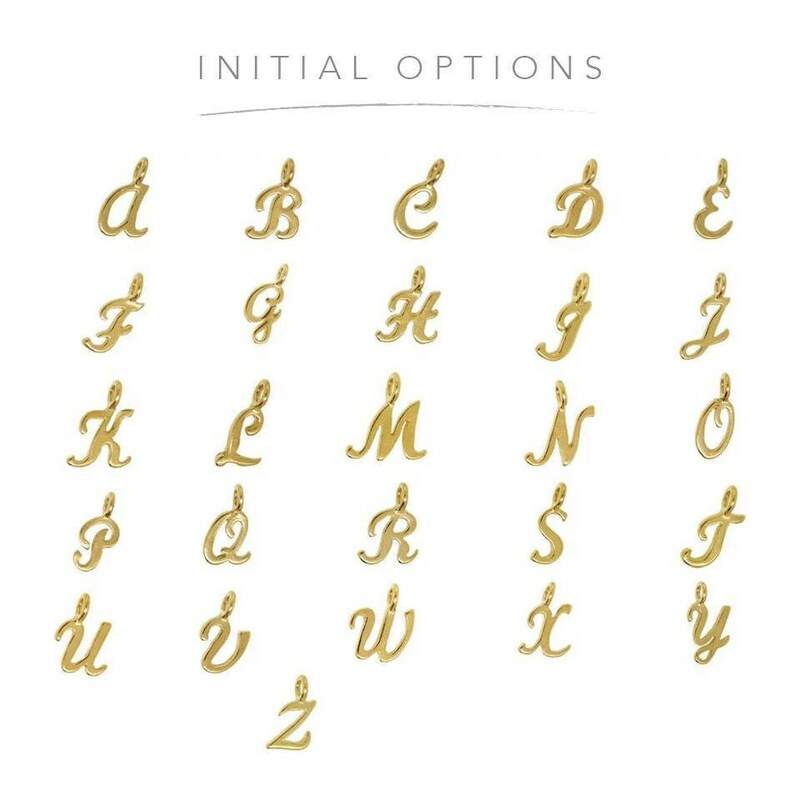 Leave a comment in the note section at checkout with the LETTERS and BIRTHSTONE you would like. See 4th and 5th image.